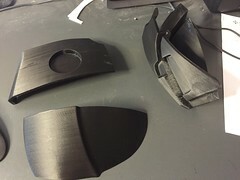 Update: Been working on a U wing helmet but have gotten the files needed to print out the Y wing Helmet. 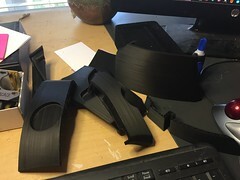 I need a new printer and it will ship in a few weeks. 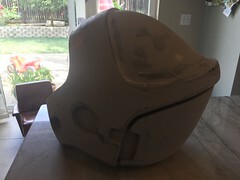 Once it comes in I can continue this helmet build. Also Ywingfighter (Frank) identified the forehead greeblie that I wanted to use from the album so that is a huge leap forward. Almost all of them are now modeled (except one cheek greeblie). Sorry, had to delete that link. Oh man, you are aren't you? And then some... I don't know a single person named Ruth. Still waiting on the printer. 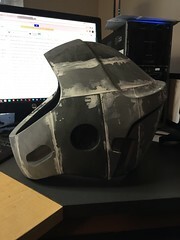 The helmet is actually finished though. Check out the pictures on the ruthlessfx FB page. Our collaboration is about as perfect a copy as can be made. 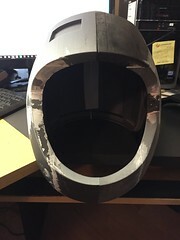 I will make my own from the files but will get the visor from him. All right. I am in business. 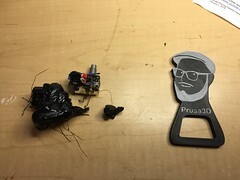 first print on left (required a whole new nozzle and repair)-second print on right after repair. Yay progress. 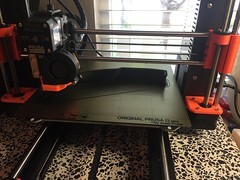 After a ton of issues and finally finding the right settings for my machine , I am almost done with the left side. This is really going to happen. The helmet that started all of this Star Wars Helmet addiction for me. 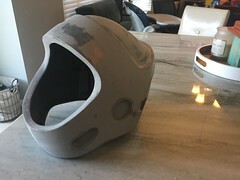 The parts are awesome, and I need to rethank Charles at ruthlessfx for designing for me what is the most accurate Y wing helmet currently available. That is looking very nice. 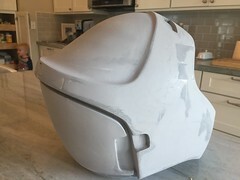 Slowly sanding away. Been working on my U wing build, that has taken most of the time up. 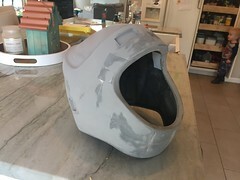 But sanding, bondo, etc and this helmet is almost ready for painting. I will post pics as soon as I get it printed out.